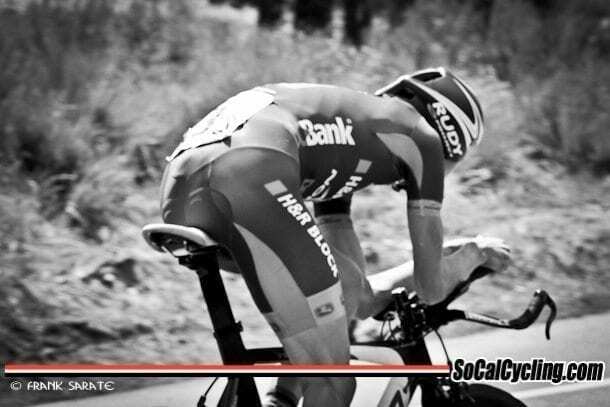 The SCNCA Individual Time Trial Championships were held at Lake Los Angeles where riders got the chance to go against the clock for a Championship title. The 23.5 mile course is flat and fast, with a mix of crosswinds, headwinds and tailwinds depending on which direction you are traveling on the four corner course. Brandon Gritters (Rokform) and Joy McCulloch (KHS-Maxxis-Jakroo) put in the fastest times for the Elite Men’s and Women’s Title, with Gritters posting a 46:03.37 and McCulloch a 53:01.46.